There’s no better way to lighten the winter blues than getting together with friends in the dead of winter. Super Bowl LII is within arm’s reach and millions of Americans will be throwing parties across the country. 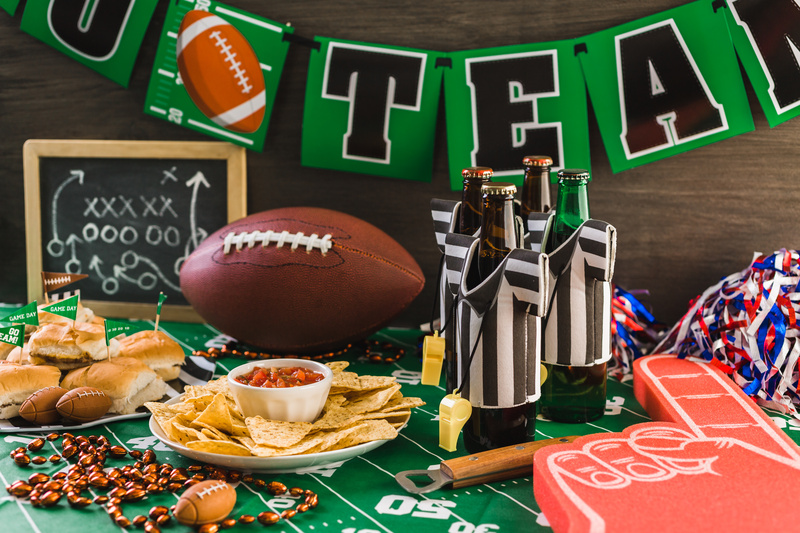 Whether you’re a fan of the game or not, it’s always a spectacle with a hyped-up halftime show, anticipated commercials and who can forget the snacks! If you’re planning on hosting a Super Bowl party, be on the defense and remember these tips to avoid any upsets. If you’re serving alcohol make sure there’s plenty of food to absorb the impact on your guests and cut off the drinks as the game comes to an end. When the game is over and the party is breaking up, have the number of a cab handy or be prepared to let your guests spend the night. Super Bowl Sunday is one of the most hazardous driving days of the year, especially when impaired motorists drive home after the parties. If a guest gets into an accident after drinking, you could be liable as the host. Avoid slips, trips and falls by making sure your driveway, walkway and steps are free of any snow or ice. Make sure there are no hazards around the house that guests could trip over. Put away any fragile belongings which are usually not covered under a typical homeowner’s policy. Same goes for valuable memorabilia. If you decide to have your signed football or jersey on display and your buddy spills nacho cheese, you could face out-of-pocket costs. Most people probably don’t think of reviewing their insurance coverage when they’re just looking to have a good time. As a host, it is your job to know the risks and responsibilities of having a party. Look at the liability coverage for your homeowners or renters insurance policy to see what you’re covered for. If you have any questions about what vulnerabilities you have as a host, please contact us any time.